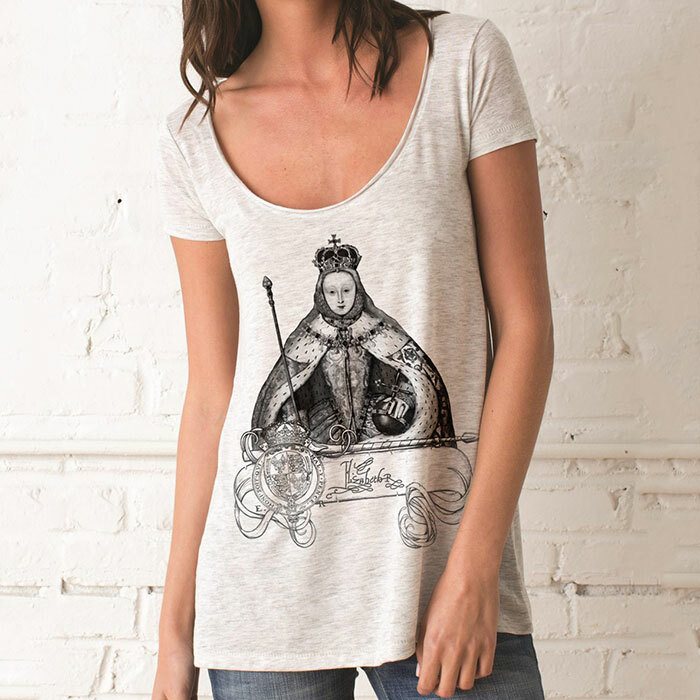 This soft and roomy feminine top features a design of mine based on the coronation portrait by an unknown artist of Elizabeth I. 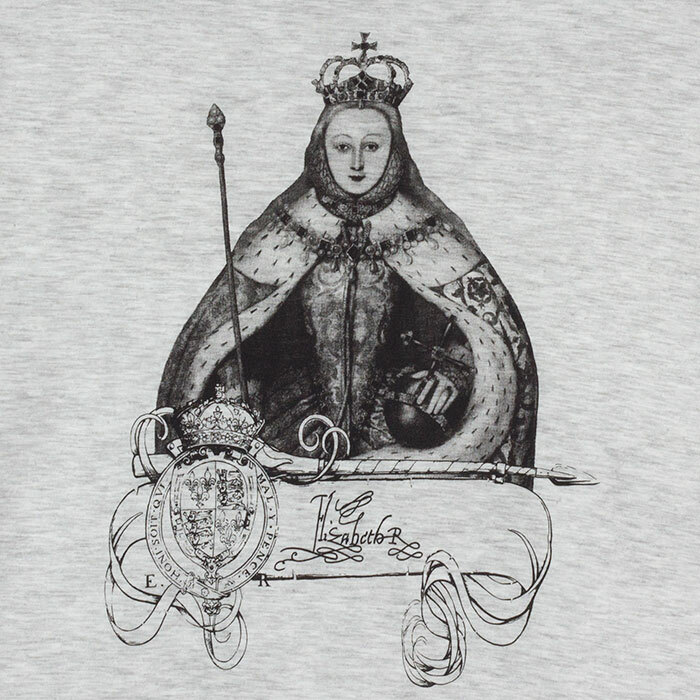 The design features a hand drawn banner along with with her signature and her coat of arms. 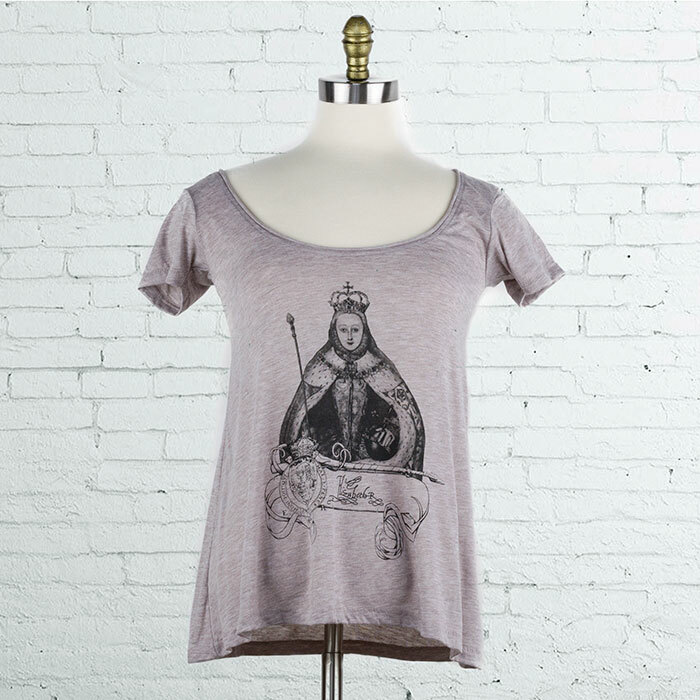 Design is printed on soft, sheer vintage-inspired Melange Heather Burnout (50% Rayon, 50% Polyester) top. Carefully tailored lightweight sheer T-Shirt offers a more feminine look that feels great wash after wash. 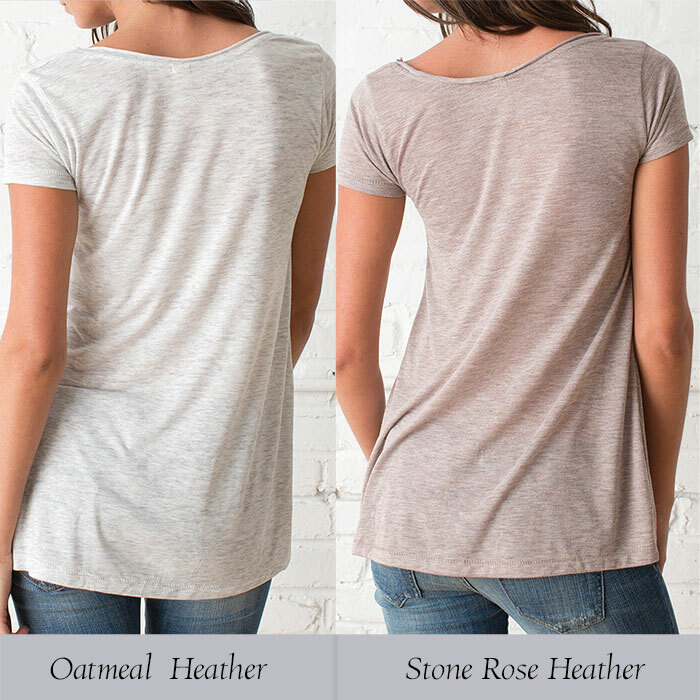 Fit: True to size - flattering relaxed fit with an asymmetrical bottom hem and feminine scoop-neck. 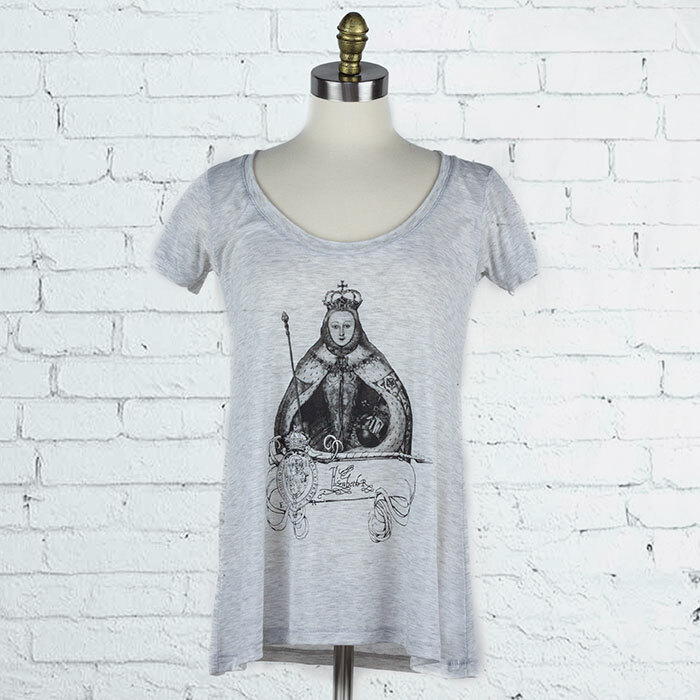 There is nice stretch in the fabric that most t-shirts do not have. Model is wearing a size small. 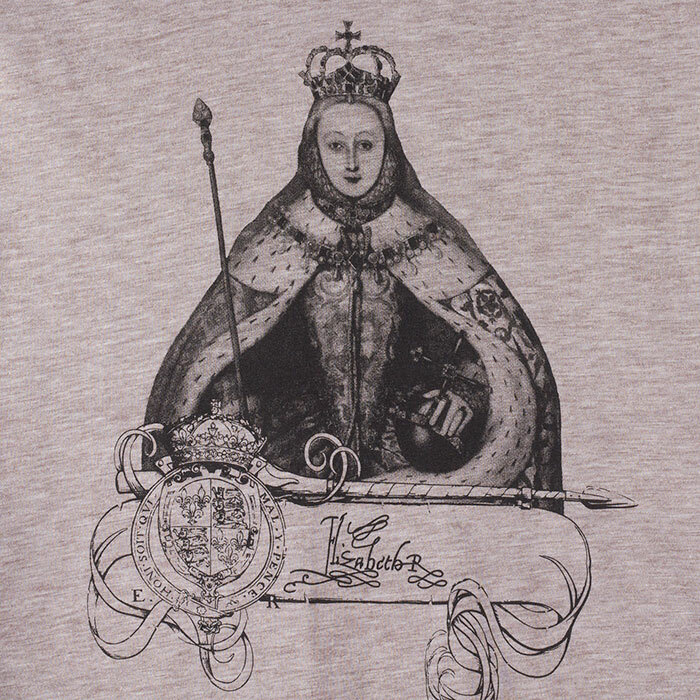 I have found there is some inconsistency from Alternative Apparel between the two colors - Oatmeal seems to run a hair wider and longer then the Stone Rose Heather. 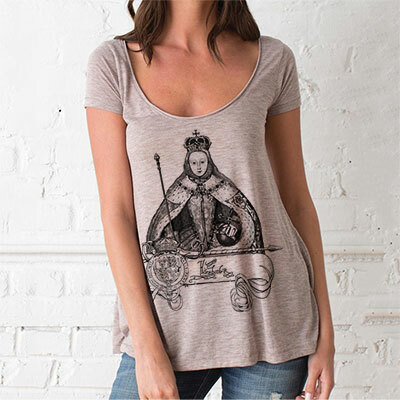 Notes from Tiffini: I find this top to have a great fit, much dressier looking on than a regular t-shirt. The fabric is extremely soft and light making it a perfect top for any occasion but especially great for summer. I think the relaxed fit will accommodate many body types though this top might be too fitted in the bust and arm area for some. I also find the neckline very feminine, it is low but not too low. Though, I can see if you were very slim up top you might wear a cami underneath. I am of a slim/average build and find the neckline just perfect.